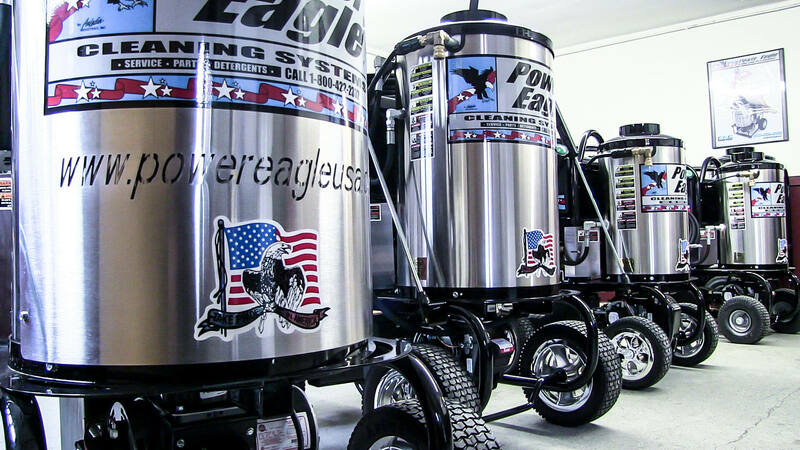 Power Eagle cleaning equipment is hand built in the USA. Stainless steel, brass components, and powder coated frames protect your product from dirt, the elements, and rust. Since 1973, Power Eagle has strived to make sure all of its customers receive the best service and care for their products. With full time servicing staff, and thousands of parts stocked and ready, you'll always be up and running. 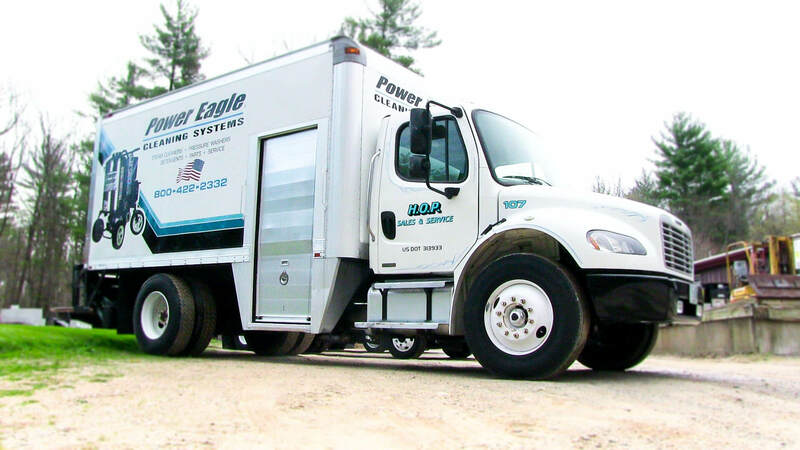 Power Eagle has been the go to for many trucking companies across New England for keeping their trucks and equipment clean no matter the task at hand. 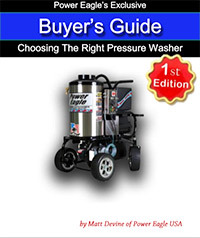 Power Eagle has the best commercial high pressure washers. The Power Eagle industrial sand blast kit is the fastest way to turn your pressure washer into a sand blasting machine. For use on almost any surface and with several different medias, our sand blast kit sets up fast and creates NO DUST! The kit is truly “plug-and-play”. Unlike other kits on the market, ours arrives pre-assembled and specifically preconfigured with the correct nozzle for YOUR pressure washer. We take all the guess work out of it. 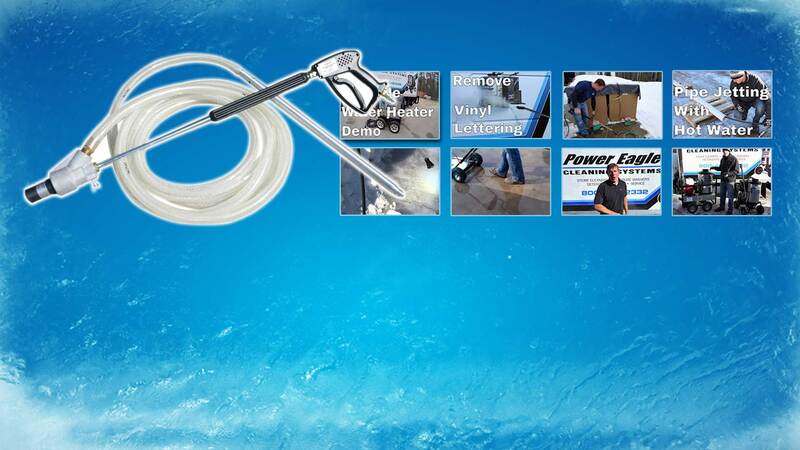 Simply quick-connect to your pressure washer hose and begin sand blasting.